Remember when I featured the crazy project that my friends were selling last year? The I-was-supposed-to-get-that-coffeehouse-planner-but-I-got-fat-and-broke-on-the-10th-frappe planner? Well, it sold like hotcakes. Thanks to all of you who got your copies. Especially those who bought tons of copies! This year, Tonet and Chinggay are at it again! They now call themselves Witty Will Save the World, Co and this time, they are going hopeless romantic!!! Above is the cover art. It’s 6″x6″ hardcover, springbound. Below is one of the first pages. A disclaimer. And of course, like most sell-out planners, they come with coupons, too! Although I don’t think they will be honored anywhere. LOL. 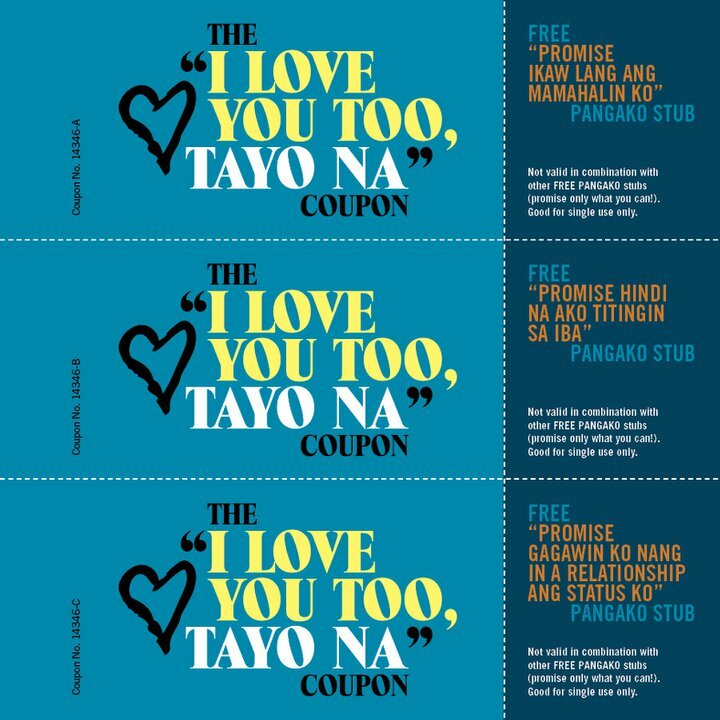 Other coupons included are (3) variants of it’s not you, it’s me, ahhhh, ehhh, break na tayo coupons; and three variants of (3) sorry na, bati na tayo, sige na, wag ka nang maarte dyan coupons. 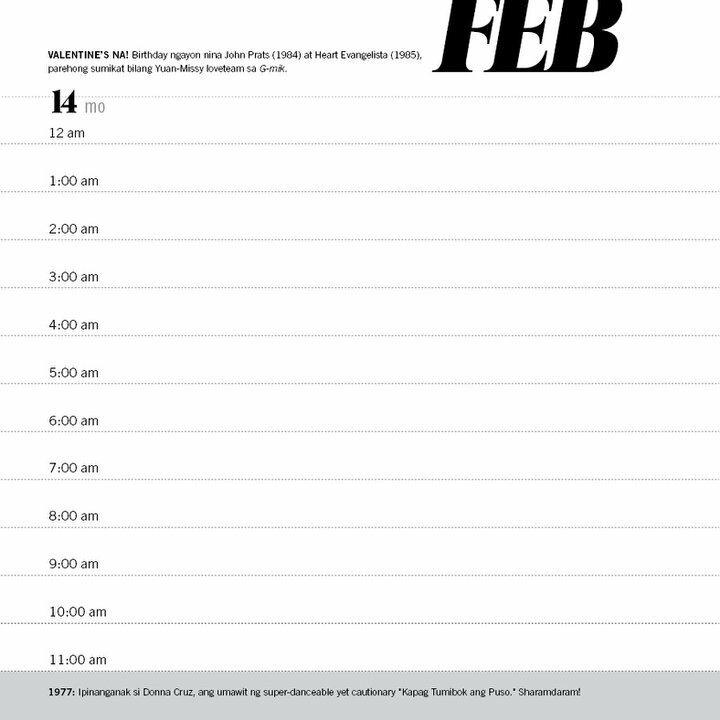 Here are the calendars. 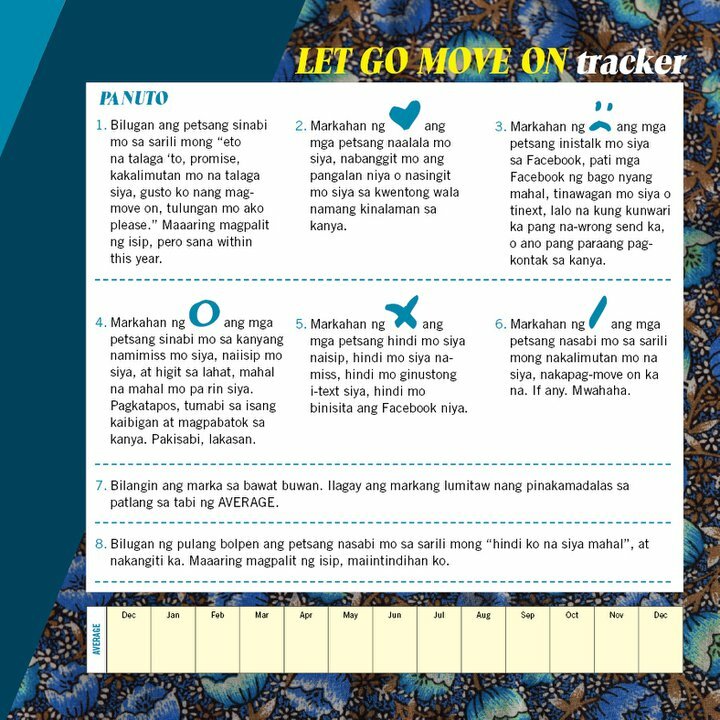 (Syempre meron nun kasi planner nga ‘to!!!) With bonus pop culture trivia tidbits. I’m sure you want a copy now. Unfortunately, it won’t be available until the last week of November this year. But if you’re really interested, here’s how to contact them. Text them at 0906-4652191. Ibigay ang iyong pangalan (para hindi na kayo pumunta sa Hu u po?) at kung ilan ang gusto mong orderin, AT kung paano mo gusto makuha ang iyong planner. @yoshke nagcomment ako diyan. kano yan? @yoshke mahal! ano ba yan? walang bawas? hahahaha! 350PHP..sarado..i just bought one now..and im controlling myself from reading the entire entries in one sitting..baka kasi hindi na ako matawa pag binasa ko ulet in the middle of 2011..buy one..
ei yoshke pa-double check yung number ni chinggay. 0916 ba talaga? kase i got their planner last year and ang nsa contacts ko ay 0906. These guys are awesome. I have their copy of “Akala mo wala nang Slumbook pero meron, meron, meron” and was gonna blog about this and that one pa nga. Thanks for the heads up on the new planner! Their slumbook was around 200 lang eh. So maybe this is a little more expensive. I like it! 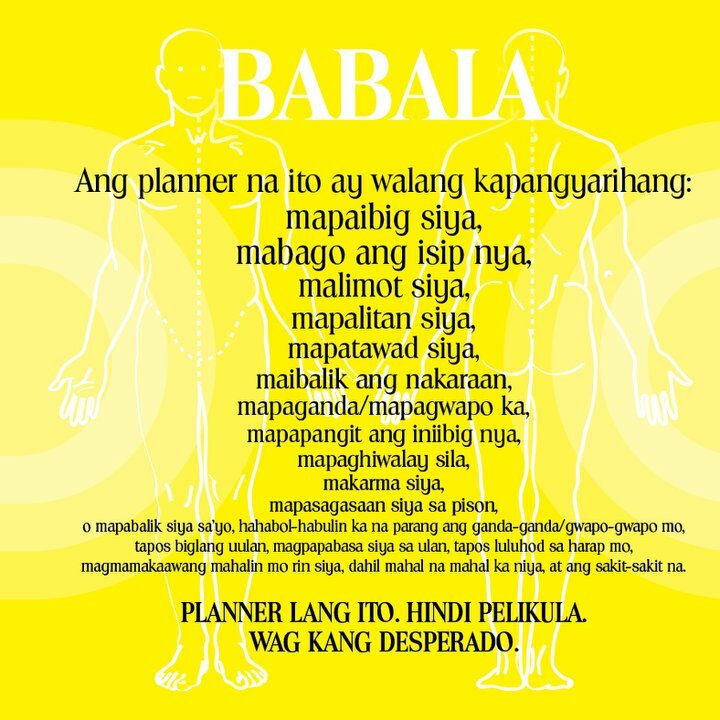 Super funny ng planner na ito. I want to have one! I joined na! Wow! I want that planner!! Ok pangregalo!!! Is my entry valid? Thanks! How much daw yung planner? I want this I want this! hahaha! kesa mapuno na naman ako ng caffeine for a starbucks planner.. how can I buy this? witty will save the world, co.
good am! how can i order? wud like to buy some. Yoshke, pwede ba to sa lalake? Gusto ko rin. gusto ko neto..hahahaha..ipapangalandakan ko na sa twitter oramismo..
hi. 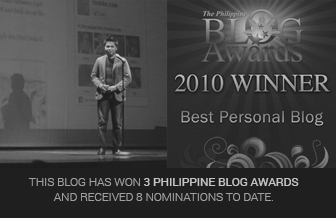 first time on your site but i already saw you in person dun sa goldilocks pagbabago awarding. congrats nga pala. cool site. I want a copy. 🙂 may release n ba sila? may website ba ung sellers? do they do meetups or GCash lang. omg, super perfect gift for hopeless romantics. haha! thanks for sharing! how much is this? i’m interested 🙂 meron pa bang iba? i how much po sya… witty nga eto ~!!!! aba. i can relate planner! wla bang contest jan at ito ang price? hihi. 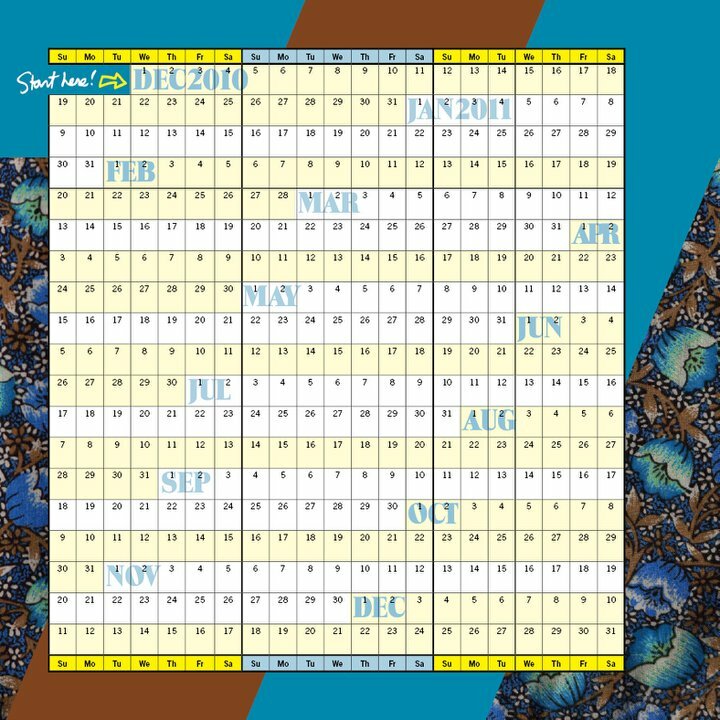 hi is this planner still available? Do you know any reseller? Pingback: Christmas Wishlist #2: Alcatel OneTouch Net – Feeling Techy! 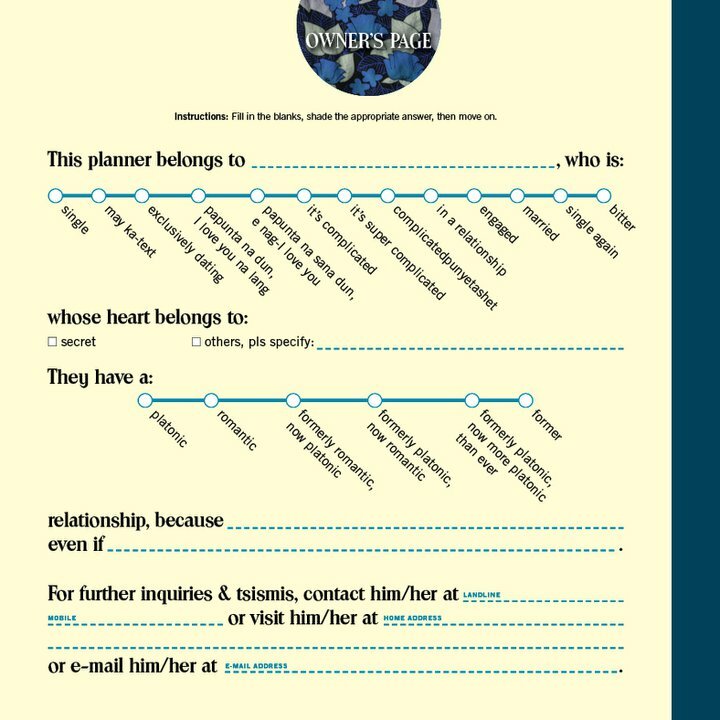 my employee told ne about this planner. bakit wala for 2012? could have been the best give away for my employees. ganda ng idea, its so unique. sayang , sana meron ka pang iba. are you selling until now? may iba pa ba kayong design? hey there. 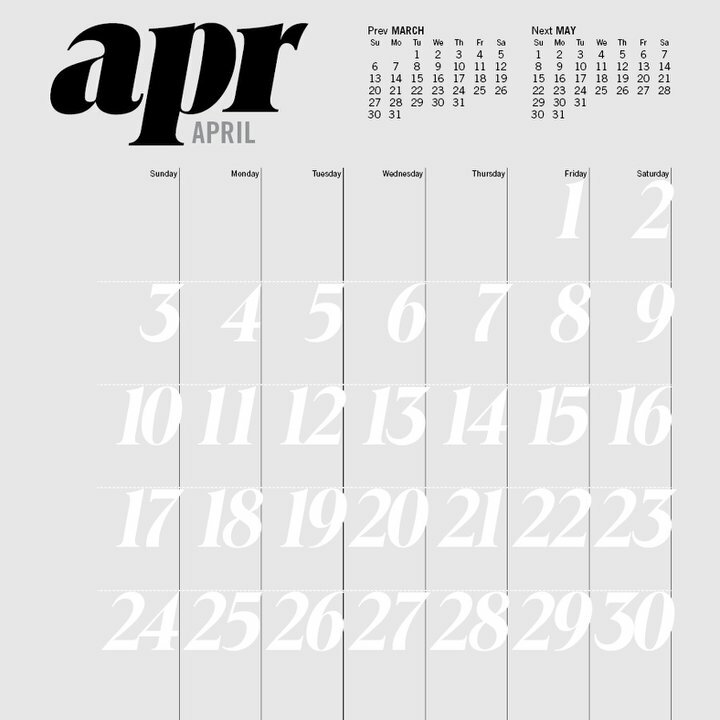 i just wanna ask if they will release a 2013 planner. You are indeed a very interesting blogger. where can i buy this po?